We’ve come to expect prospects and leads to do their due diligence before making a purchase—and rightfully so. Bringing us to the new business card: your Facebook business page. 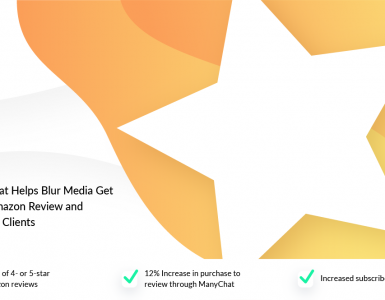 In this post, we’ll be tackling a ⭐⭐⭐⭐⭐ strategy for using Facebook Messenger bots (specifically ManyChat) to help you generate more customer reviews and social proof on your Facebook Business Page. 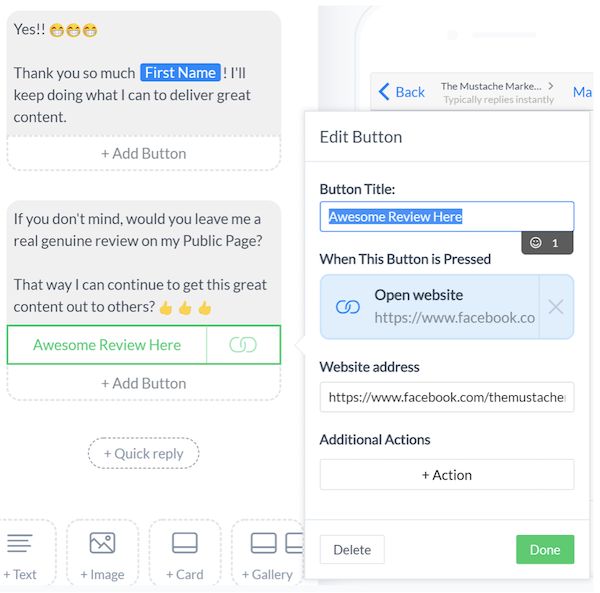 This strategy helped my Facebook Business Page, The Mustache Marketer, skyrocket with 68 four and five star reviews in just 24 hours! 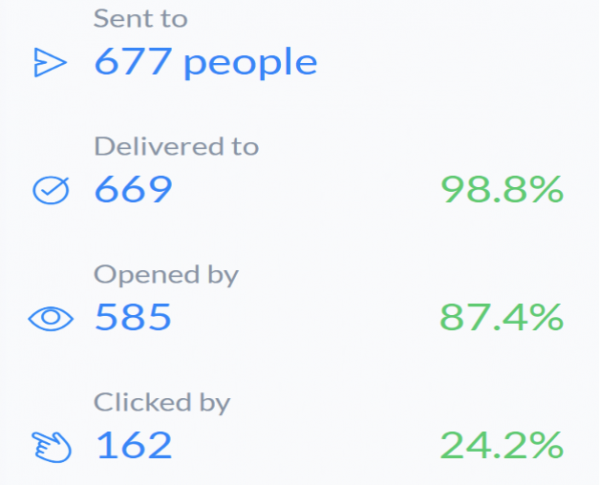 That’s over a 40% conversion rate! 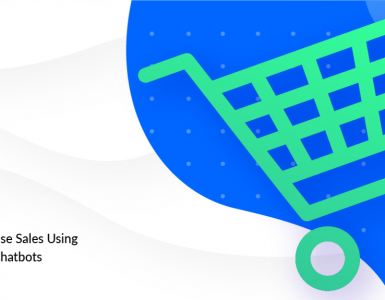 Reviews can make or break a sale, so let’s walkthrough this campaign, the bot setup, and overall strategy so you can start generating customer reviews and closing more sales! For this campaign, the goal was simple. Increase reviews on my Facebook Business page from my current Messenger Subscriber list. By doing this, I would also be gaining more exposure to other content previously posted on my page. The next step is to get your bot built out with the entire flow. This is what the final bot will look like. For this setup we will be using a single text block and 5 quick replies. Can you answer a quick question for me? 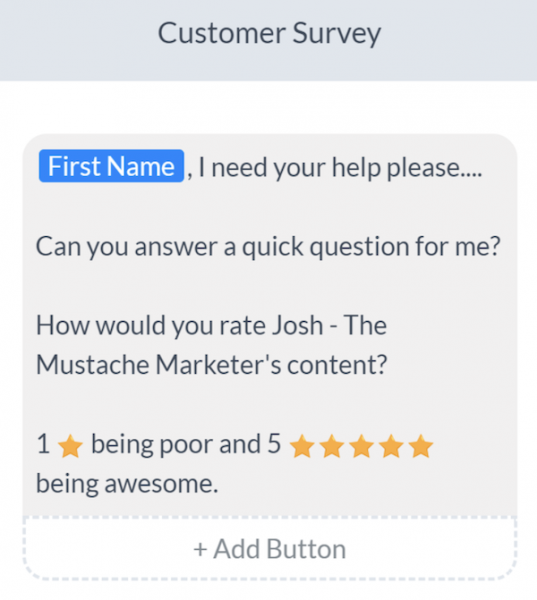 How would you rate Josh – The Mustache Marketer’s content? 1 (star) being poor and 5 (stars) being AWESOME! In this situation, we are not going to add a button, this is where we will need to use quick replies. Quick replies force the user to pick only one option. Unlike a button, they can select multiple options over and over. 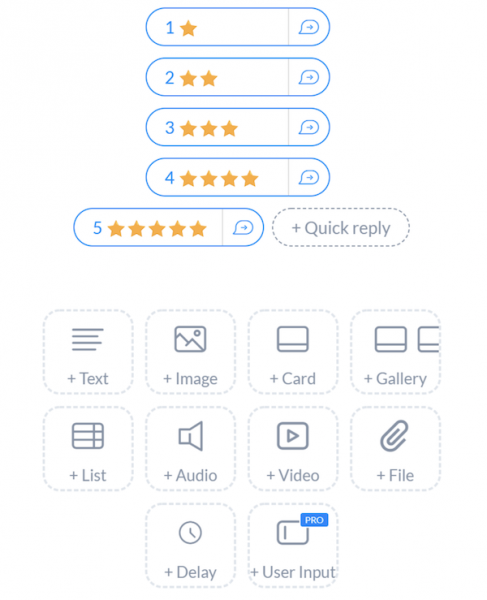 Once you have the five options setup with quick replies, you will need to have five separate messages created to send back to the user after they select one of the five options, make sense? Remember, keep this fun! I recommend using emoji’s where you can. 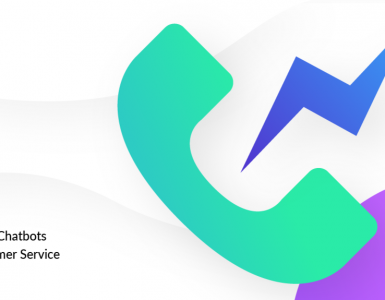 They draw attention and give your bot more of a personality. 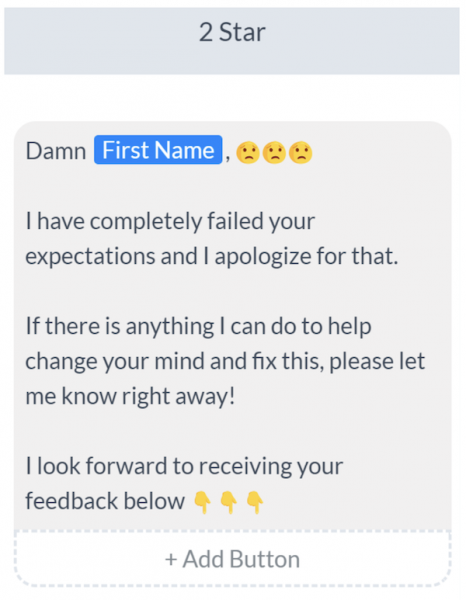 “Damn FIRST NAME, I have completely failed your expectations and I apologize for that. It’s genuine and human. Even though this is a Messenger bot, it still has a human feeling. A real concern about your audience and the level of your content. It gives the user a chance to voice their concern and reason for giving me one star. And then I would be able to take their feedback and apply it to my business and make improvements. For the ⭐⭐ star review, I used the same message, so you can just copy and paste it. Easy enough. For the ⭐⭐⭐ star option, I went with a slightly different message, but same objective as above. 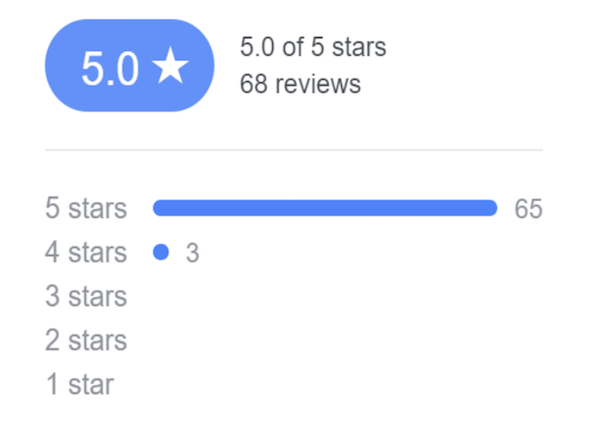 Three stars is average, so I still wanted to connect with my audience and see where I can improve. I still want to gain valuable feedback from the user here. Now we can move on to the ⭐⭐⭐⭐ and ⭐⭐⭐⭐⭐ star ratings. This is where the real magic starts to happen! For anyone who gave me a four or five star review, I also ask them to leave me a written review on my Facebook Business Page and provide them a link straight to the review section on Facebook. You want to make it as easy as possible for the user to do what you are asking, so make sure the link goes straight to the review page, not just a link to your business page. For this setup, we will use two Text Blocks and one Button. In the first Text Block I want to show excitement and gratitude for the four or five star review and let them know I will keep doing what I’m doing. This is the perfect time to ask your audience to leave a review on your Facebook Business Page. The text block is the same as above, but we want to make sure we use a Button, not a Quick Reply. It’s important to use a button so we can easily direct the user to the review section on our Facebook page. You can accomplish this by using a button and selecting the “Open Website” option shown above. Paste the URL to the review section in the “Website Address” field as shown. This will direct anyone who uses it straight to the review section so they can easily leave a four or five star review! And that’s it. 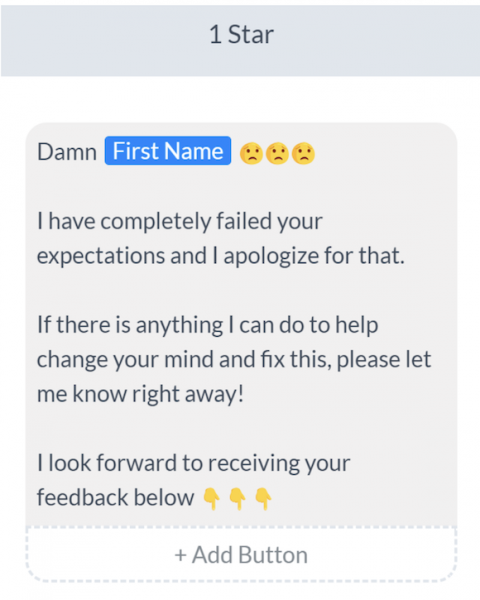 You have just created your first Customer Review Bot! Now as with any flow you create, you want to make sure you test it. This can be down by using the Preview button in the top right corner. Once you test the Flow and are happy with it, make sure you Publish it so it goes live. The strategy I used to implement the Customer Review Bot was to send it out to my audience on the 12th day of a value based sequence. 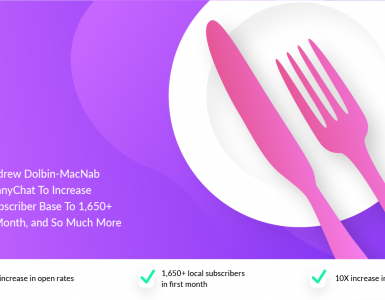 The idea here was that after delivering 11 days of value to my audience (this could be blog posts, videos, podcasts, YouTube videos), I would ask them how they liked my content. I wanted to capture the thoughts of my audience, make my content better and generate the customer reviews I needed to gain more exposure for my business. 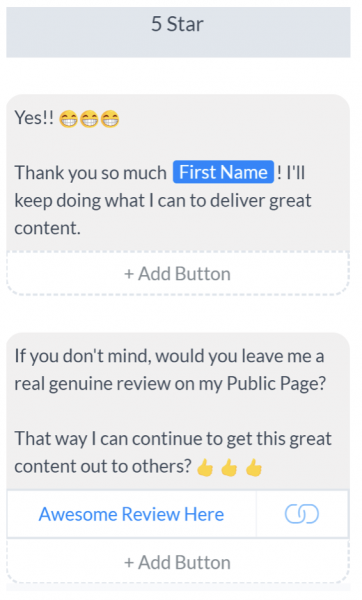 You can copy this same strategy, use this in a Facebook post with a Ref URL link to the Review Bot or develop your own strategy depending on how you think your audience would respond best to this request. 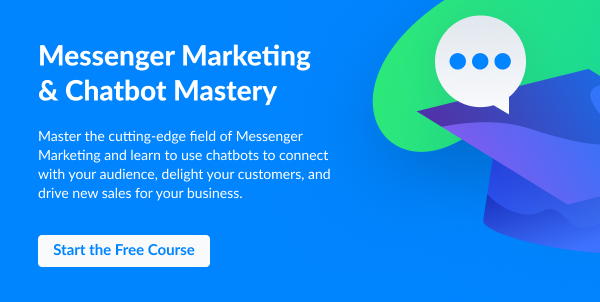 The whole idea here is to build customer reviews of your products/services that will grow your leads, sales and revenue with Messenger Marketing. 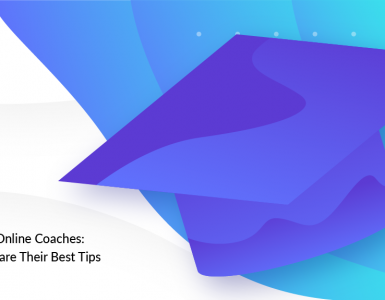 The Mustache Marketer is a lead generation Messenger Marketing Agency dedicated to helping entrepreneurs and small businesses grow their leads, sales and revenue to drive massive results. 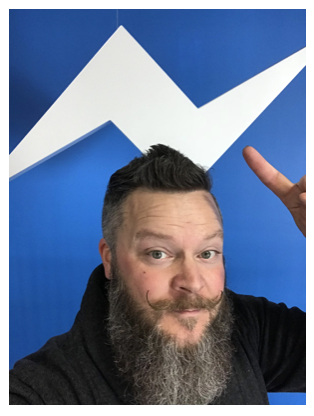 Facebook Messenger Bot Creation Master. My goal is help 10k entrepreneurs in 2018 and beyond by using my passion and expertise to create a Messenger Marketing strategy to capture leads and build audience engagement that leads to long term customer relationships. Nice technique to drive facebook stars. Solid. Thanks. Saves the brain bandwith to think this up. Thanks Joshua. Creating content on a chatbot has been my worst hangup to starting to use ManyChat. Waaaiiiiting for the THAW and practicing. 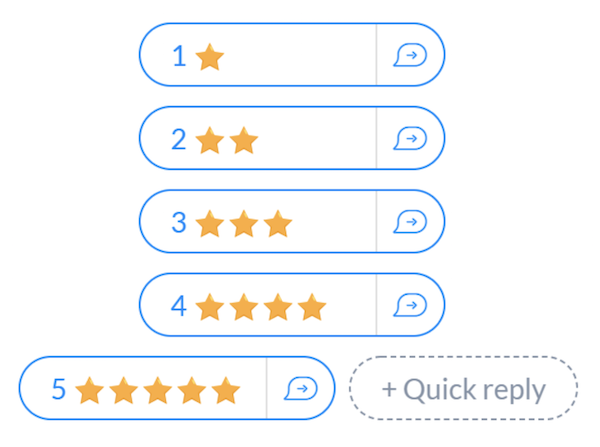 So how did you connect the quick reply stars with an actual star-rating ? I don’t believe you do. This is just a ‘pre-qualifier’ to determine are you going to invite them to actually submit a review on your business page. Right Josh? You don’t – that’s what the final piece is for – directing them to give higher star ratings. 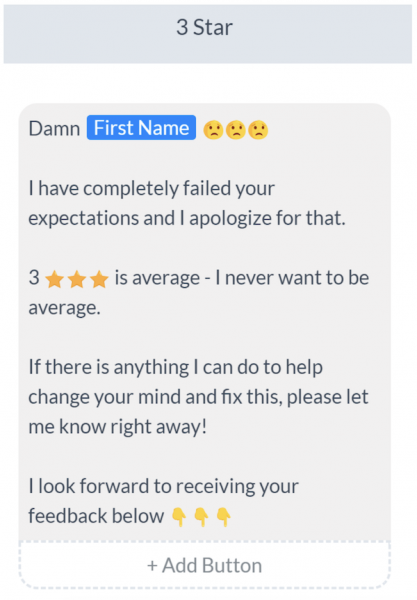 By asking how you can improve, the next time you do this with them they may give that 4/5 star via the bot … which you can then invite them to make a real review. I noticed that facebook has a page review session, but also has a review of messenger. 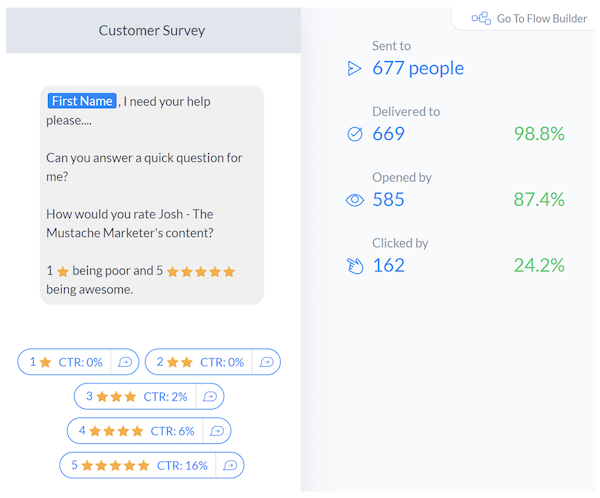 Does anyone know a direct link to messenger review? First I’ve heard of a messenger review … thanks for the HW! Is this technic legit ? Quick question – is there an easy way in Manychat to see if a user has already posted a FB review on my business page?